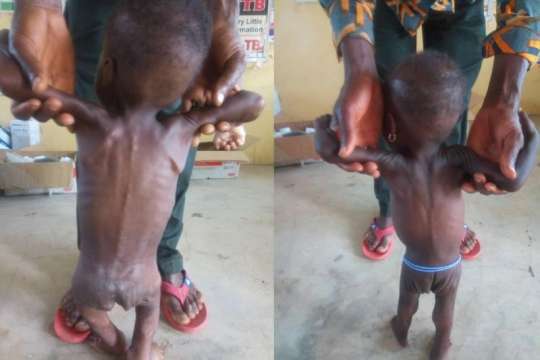 A Non Profit Organization based in Nakwabi has felt pathetic for some young kids reported to be malnourished in the Wa West District of Upper West Region. The issue was reported by Prosper Kuorsoh, A Journalist with the Ghana News Agency. According to the organization, the children can be supported and urged parents to immediately contact them to attend to these malnourished kids. Bring them Operation Smiles, Nakwabi motherless babies Centre and they will survive. It is an orphanage run by Afrikids and manage by Rev. Sr. Jane Mary. You can contact the Project Manager on 0249801714/0245359861 Email: operationsmiles10@gmail.com You can also help her to advertise the Centre through your media by paying her and the kids a visit. November 29, 2018 in Local News.